Truth be told, I was hesitant to visit South Florida’s Flamingo Gardens. I hadn’t visited a zoo-like environment in nearly 34 years, when a piddling 7-year-old-me had to be dragged in hysterics from the Honolulu City Zoo. Since then, I haven’t entered another — and the only sanctuaries I visit are carefully researched. 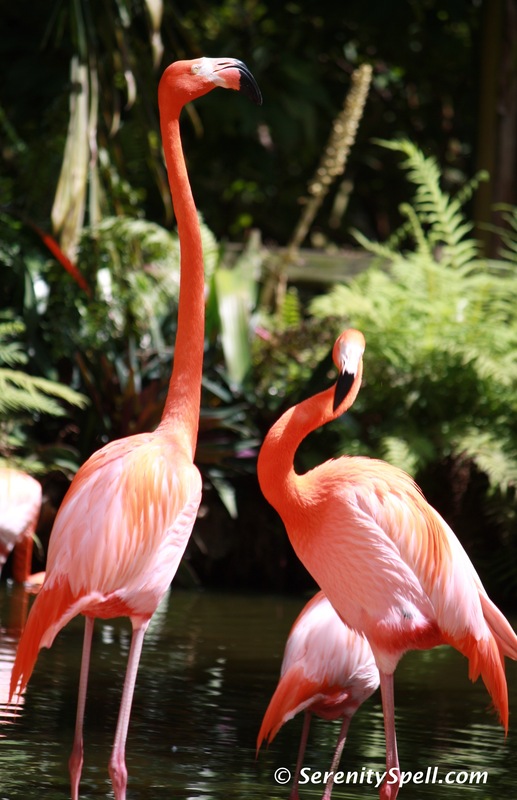 So when friends suggested Flamingo Gardens after being pleasantly surprised by the facility, I researched the place in my typically type-A spastic nature: Was the native wildlife truly injured/non-releasable, blah blah blah? But it wasn’t just me with doubts: On entirely separate occasions, acquaintances expressed concerns about the location — fears that it was a tourist trap for visiting snowbirds, and consequently hosting less-than-stellar conditions for animals. In hindsight, I’m wondering why others had the same worries… Was it poor marketing? Would a tagline help? Was the signage scaring people off? Or were we all simply misinformed, over-reactive idiots? Whatever the reason, it’s a dayum shame. My/our crazy conservationist fears were completely unfounded. 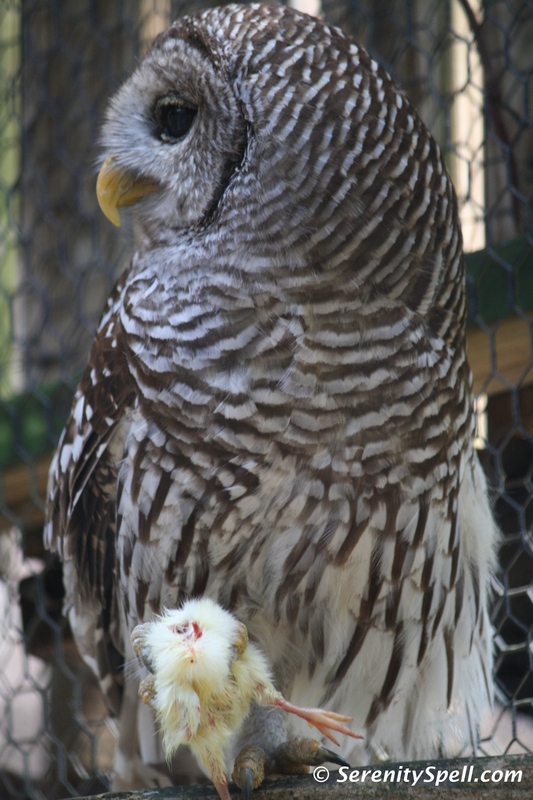 Within the Everglades Wildlife Sanctuary, aviary, and Bird of Prey Center, permanently injured and non-releasable wildlife are given special care and a home. Read about their stories — so many people, nearly all in fact, just strolled right by the detailed plaques that explained how and why these animals came to be at the sanctuary. Infuriating. 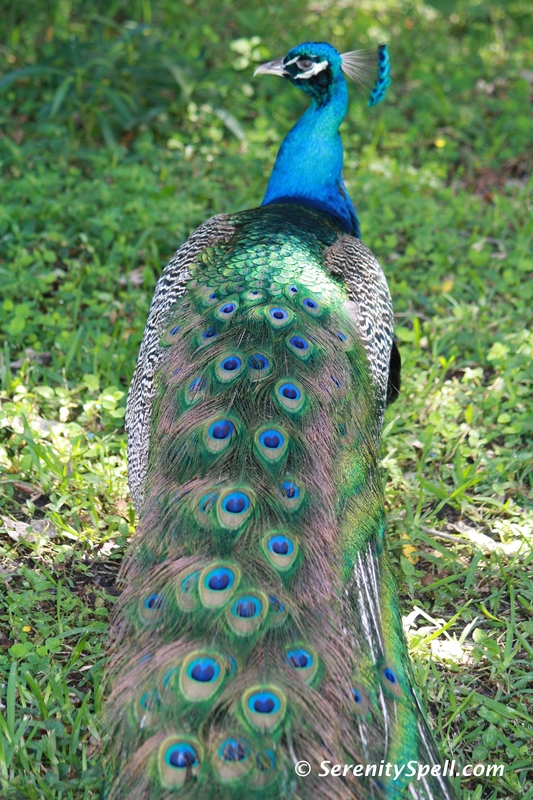 Eight-three species of Florida native birds and animals, including alligators, panthers, bobcats, otters, eagles, free-roaming peacocks, and of course the namesake flamingos reside at the sanctuary. A half-acre free-flight aviary is home to more than 250 birds representing 45 species — in the last 20 years, these birds have produced over 2000 offspring which have been released into the wild. Five native Florida ecosystems are exhibited at the aviary: coastal prairie, mangrove swamp, cypress forest, sub-tropical hardwood hammock, and sawgrass prairie. 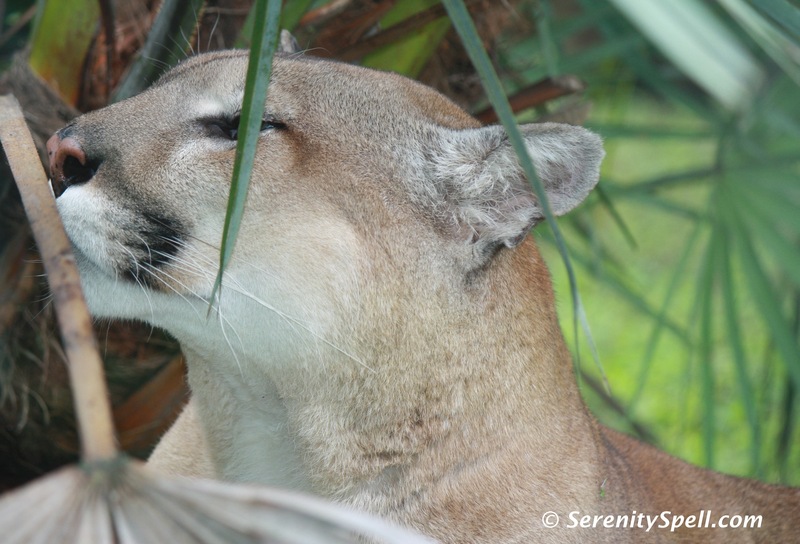 A daily Wildlife Encounter show offers live presentations of Florida native wildlife from sanctuary, including birds of prey, mammals, and reptiles, elucidating their relationships to humans and the environment. Arriving to Florida in 1925, Floyd and Jane Wray were quickly intrigued with the horticultural possibilities of their new subtropical home. They purchased 320 acres of land on Long Key in the Everglades, and incorporated Flamingo Groves on January 2, 1927. Orange trees were planted — and by 1939 2,000 acres were covered in citrus groves. 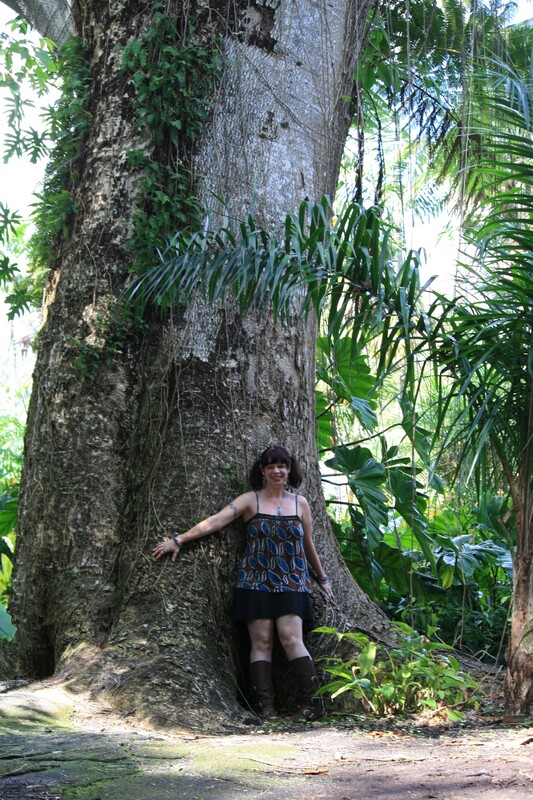 But earlier, in 1928, the Wrays envisioned a botanical showcase of subtropical flora, and began a project that was to become one of the first botanical gardens and tourist attractions in South Florida. The gardens received foreign plants and seeds from the federal government for test planting in a subtropical growing climate — rare tropical fruit and flowering trees were displayed so that visitors could experience South Florida’s beauty and diversity. In 1969, Jane Wray — herself a musician, teacher, and poet who loved the gardens — established the Floyd L. Wray Memorial Foundation in honor of her late husband, to preserve the property and protect the history of the Everglades. The name changed to Flamingo Gardens, the botanical gardens were expanded, and the Everglades Wildlife Sanctuary was added in 1990. The Bird of Prey Center and the free-flight aviary were built in the early 1990s. The 1933 Wrays’ home — now the Historic Wray Home — is registered as a historic site and has been restored as a museum providing a glimpse of life in the 1930s. Unfortunately (or fortunately — it provides an excuse for a return trip! ), we missed this while we rambled amid the gardens and animals. Long story, short…. GO! Visit this amazing place, walk among the centuries-old trees, say hello to the rescued animals, and learn of their stories. We were able to visit on a comparatively quiet weekday, and it was amazing to chat with the animals’ overseers. It’s heartbreaking — but at least these animals’ stories ended well. With as many sanctuaries and animal rescues as I’ve visited, one can only wonder how de-clawing exotic cats is still permitted when it causes extreme pain and lameness; or the horrific “legal” state minimum enclosure requirements for bears, big cats, and other wild animals (envision a tiny jail cell); or why people would even *want* to shoot endangered, majestic birds of prey. It’s appalling. So I’m only sorry that I — as well as others, obviously — remained in the dark as long as I did regarding this facility’s nature and mission. If you visit, be sure to check their calendar for upcoming special events (for instance, they’re having an Earth Day event, including a benefit flea market on April 21…. FUN!). And give the parrots some loving attention on the way out; several — the Cockatoo and the African Grey (at least, at that moment) were especially anxious for one-one-one time, having obviously been accustomed to it in their pasts. Thank you for your lovely words. It is from guests like you that we get our inspiration. May I repost your blog on our facebook page? You’re so very welcome! Absolutely, please do so… Anything to help spread the word of your most amazing facility and mission. Please feel free to let me know if I can be of any other assistance. Fey, you are a fabulous writer and advocate for nature. I very glad we met.